First look at the upcoming British horror/action hybrid. 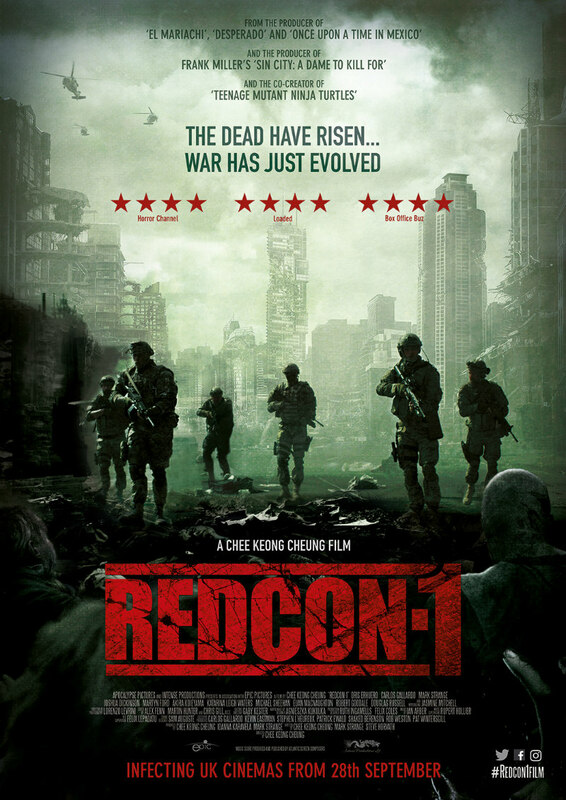 Described by Box Office Buz as "The Raid meets 28 Days Later," director Chee Keong Cheung's Redcon-1 gives the zombie movie an action twist as a team of soldiers battle the undead on their way to find a cure for the virus that has infected Britain. The cast includes Oris Erhuero, Carlos Gallardo, Mark Strange, Joshua Dickinson, Akira Koieyama, Katarina Waters and Martyn Ford. Redcon-1 is in UK cinemas September 28th. Tickets can be booked at redcon1film.co.uk from August 10th, and more info can be found at facebook.com/Redcon1Film.